It's time to review my online income report from last month. This report only includes income I received from the month of February. If the money isn’t in my bank account, I don’t put it in this report. This means I don’t include any money that is pending. This is the best way for me to track how much money I am making on a monthly basis. While I love doing my income report this way, it kind of stinks because it was my best. month. ever for making money. I initially thought I was having a bad month, but once I added up my income and income pending, I really made over $5,000. Unfortunately, I can't officially report this as I won't receive all this income for another 30-90 days. Bummer! February was my fourth month freelancing full time. I still can't believe I quit my job, moved across the country and now work for myself. It's a great feeling! While I'm not making the same level of income I had at my day job, my living expenses have decreased since I moved. I also travelled for 6 weeks in November and December, which is something I never could have done at my day job. For me, the tradeoff has been worth it! To recap, I've been blogging for about 15 months now. When I started this blog, I had no idea what I was doing! But I worked really hard to make this blog a business and a launching pad for my freelance career. In under 10 months, I was able to grow my blog from 1,000 page views to 160,000 page views a month. This amount is the grand total before I deduct taxes. Right now I am putting away 30% of each paycheck I receive. My favorite part of this income breakdown is that my freelancing income is roughly a little over 50% of my income. Up until a couple of months ago, freelancing was around 90% of my income. I really want to grow my blog with my own products an dincrease my affiliate income. The long term goal is to freelance less and increase my passive income. These payments are from income earned in January. Payments are paid out the following month. I’ve written about my ad income in the past few online income reports – mostly about how Adsense stopped performing that well for me, and Media has really come around. I also use a smaller publisher called Numus Digital. If you are a new blogger, this is a great publisher to consider as they pay out at the $25 threshold. 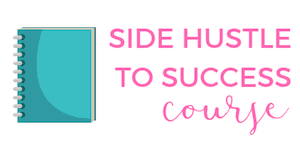 At the end of January, I launched my first product about side hustling. I’m really excited about this! Aside from the first week of February, I did very little promotion of this book and still got sales. This is truly passive income, which has been a far-off goal that I have wanted to accomplish. I provide Pinterest management and image services to clients. This niche is keeping me busy. It’s hard to complain when I get to spend part of my work day on Pinterest or creating images for blogs and businesses. My one-on-one chat sessions with clients is also increasing. These phone calls include helping people with their Pinterest goals, tutorials, etc. If you are a newbie blogger or an experienced blogger who needs Pinterest or image help, reach out to me. I finally decided to pull the trigger and hire a VA to start helping me with smaller tasks. I've been near my limit with how many clients I feel comfortable working with and this was a good decision. This should allow me to free up some time where I can take on additional clients, or work on other projects. My expenses were about 9% of my budget. I’m still a DIY blogger for the most part, so I’m pretty budget conscious with my expenses. I recently switched from Mailchimp to ConvertKit and it's been amazing. I have only started sending out newsletters for about two months now and ConvertKit is crushing it. I have been able to create a ton of different newsletters, signup forms, a landing page and an email filter. The stats that ConvertKit provides is insane compared to Mailchimp and it's been totally worth it. I am most excited about what is happening in April. 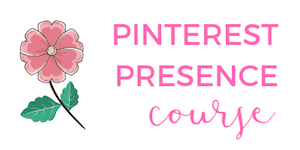 I've written a 3 part Pinterest and image bundle that is geared towards clients that are interested in learning how to create better images, using Pinterest and learning how to schedule pins. I created this course for a few different reasons. First, some clients can afford my services and some can't. I always feel bad when I'm out of someone's budget and can't help them. I totally get that some bloggers are on a tighter budget than others. 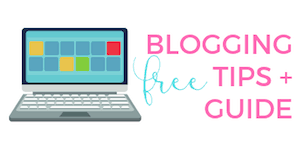 Creating a course at an affordable price is a great option for my more budget conscious bloggers. Second, I've noticed that helping bloggers with one-on-one chat sessions on the phone are super helpful, but they still like to see tutorials. This bundle has a lot of tutorials! 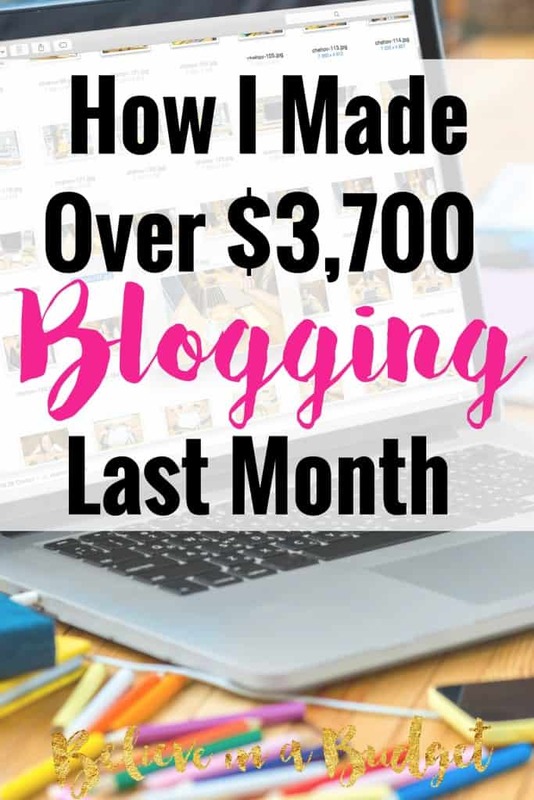 Finally, there are a lot of DIY bloggers that want to learn how to do everything, but want to do it at their own pace and on their own. This bundle can help bloggers with step-by-step instructions on creating images, how to maximize exposure on Pinterest and how to use Tailwind, my favorite scheduling tool. If you want to learn more, visit my Pinterest Presence Bundle page. How was your February? What are you working on for March? This is very helpful. Thank you for helping the rest of us!